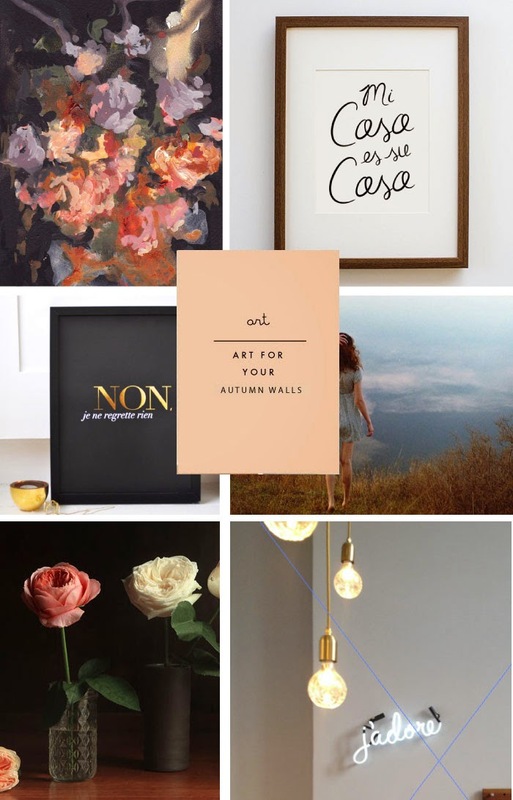 Switch things up for fall with fresh art ideas for your walls. Lots of affordable ideas to make your room a lot cozier this autumn. Pick one, or create a gallery, (they all go so well together). Hover over each image to get more info, or click on each one for more details. I'm loving that bold floral painting... this has me really itching to get out the paintbrush and cover my walls with pretty stuff!